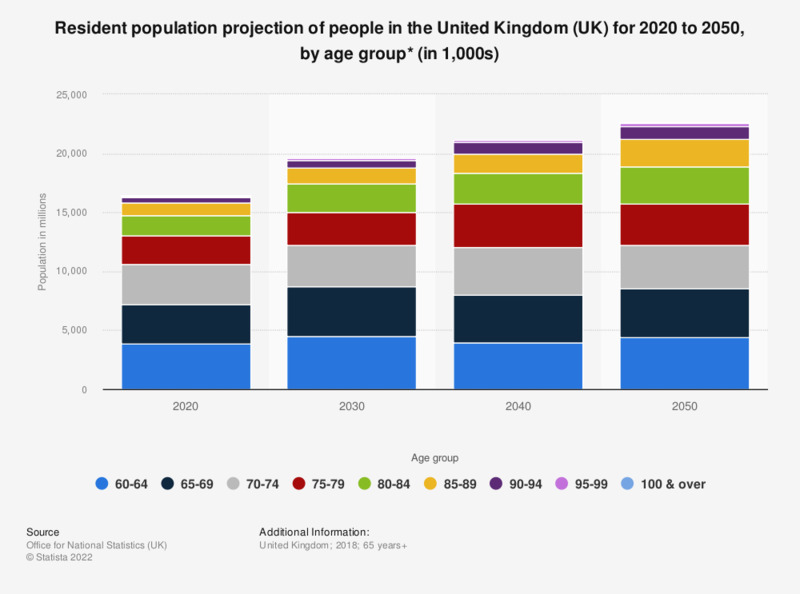 This graph shows the resident population projection of elderly people in the United Kingdom from 2020 to 2050, by age group. There is expected to be an overall growth in the number of elderly people. It is expected that all age groups over the age of 65 are expected to increase in number; most substantially, those aged over 100 years.